May my heart forever be bound in love to the One who set me free. Thanks Joy – love and miss you! I love the fact that we never outdo God no matter how hard we try. He hopes for us more than we can ever possibly hope in Him and He binds Himself forever to us. Ahhhh! Tilt!!! 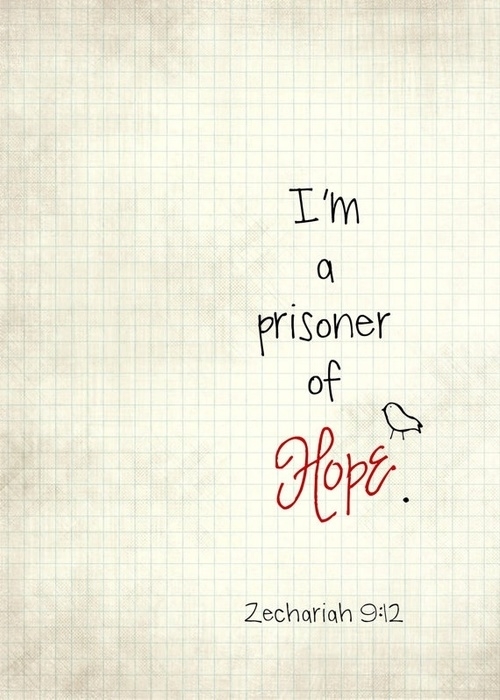 What freedom in this prison full of His infinite joy! Tilt is right!! So ridiculously blessed to be loved by the Lover of our souls! I will happily live in this “prison full of infinite joy” for all of eternity! Blessings to you Mel! I love where your thoughts and heart led you upon reading this verse. Wonderfully captive to His heart forever. Just beautiful, Cindy. “Wonderfully captive” Yes, such a beautiful place to rest … forever. 🙂 So good to hear from you,Susan. Blessings to you! Just popped over to read it–love it! Glad my post was able to plant a little seed. 🙂 Love that we can do that for each other–I’ve often been spurred to write my own take on some nugget I’ve picked up in someone else’s musings. The beauty of the Body. Blessings to you!